The holidays are full of magic, mistletoe & merriment! 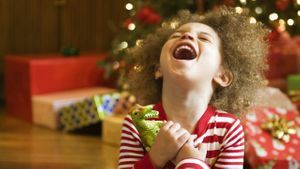 You can help provide that Christmas morning magic and make a foster child smile by donating Christmas presents to Giocosa's foster children throughout the state. We begin distributing Christmas Wishlists in October and all donations are needed by mid-December to allow for enough time for distribution. For more information on Christmas donations, contact us at donate@giocosa.org.